Four: Book it and ENJOY! 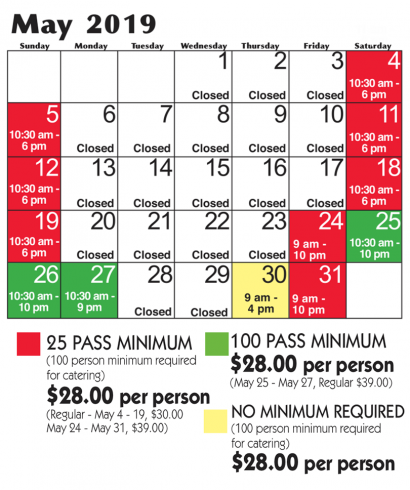 Click around our site to learn more about the amazing amount of family entertainment that Canobie Lake Park has to offer. Thrill rides (including our wild coaster, UNTAMED), family rides, kiddie rides, our Castaway Island water play park, fun-filled games, four arcades, live entertainment and so much more. All on a beautifully landscaped setting with secluded catering areas on the shores of Canobie Lake. 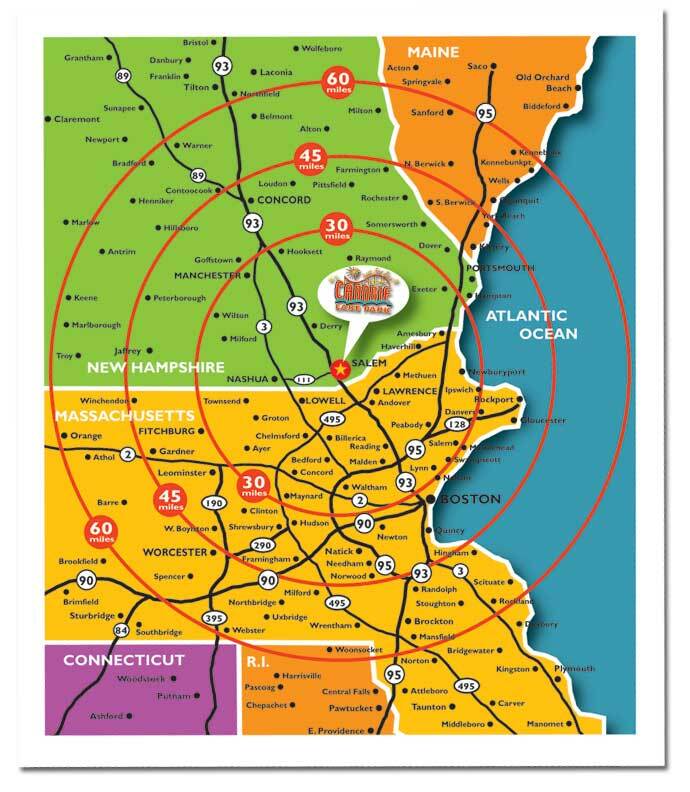 If you haven’t visited the Park in a while and would like to arrange a tour: Call 603-893-3506 x4831 or drop us an email and we’ll be happy to show you around! 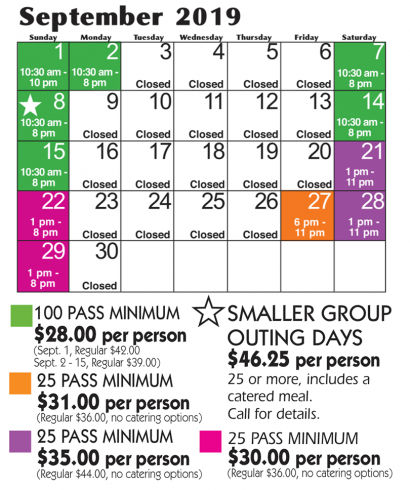 Review the outing calendar and rate schedule below. Once you know when you’d like your outing, scroll down to review your menu choices. 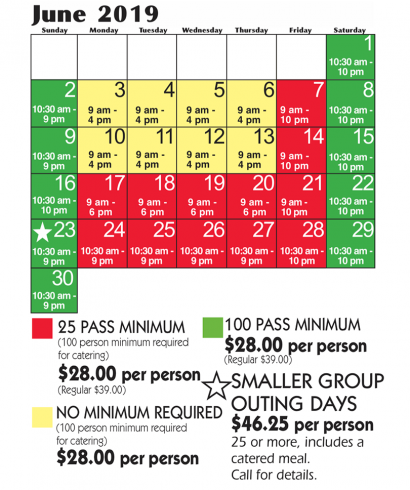 Catered Outing discounted passes are valid on one specific, pre-determined date that includes a meal in our secluded catering area. 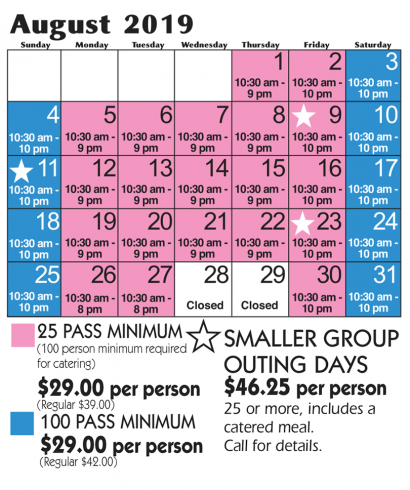 Groups must have a minimum of 100 people on any day of the week to qualify for a catered meal. Deposits are required. 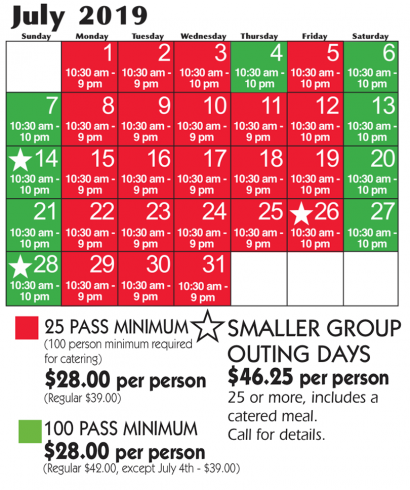 If your group is fewer than 100 people and you are interested in catering, please see our Small Group Outings. *Note: Admission prices below reflect admission only. Catering prices are additional based on menu. Our catering menus will make everyone happy with a variety of summertime favorites carefully prepared and served by Sodexo, USA. The menus below are samples only, and your final menu line-up will be listed on your catering agreement. 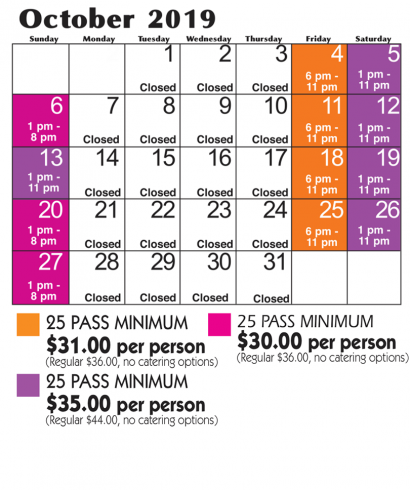 Please contact our Corporate Sales Department for menu pricing and information about available food choices on “ORANGE” and “PURPLE” days in September/October. To download our catering allergy guide, click here. Boneless Italian Chicken Breast may be used as a substitute for BBQ Chicken at no additional cost. Boneless Italian Chicken Breast may be used as a substitute for Hamburgers, Cheeseburgers or Hot Dogs at an additional cost of $2.00 per person. Chicken Caesar Salad may be used as a substitute for Garden Salad, Pasta Salad or Potato Salad at an additional cost of $2.00 per person. Beer/Wine Bar available upon request. More menu options or substitutions may be available. Inquire about a custom quote.